BMW will be entering the crossover SUV market with their new X6, which is currently undergoing testing laps in Germany’s Nurburgring test track. The name is not finalised as X6 is just a rumour that’s going around. The X6 is undergoing testing without a proper body. BMW put mock body panels on it for the test stages so there is no indication of how the final product will look like at all. 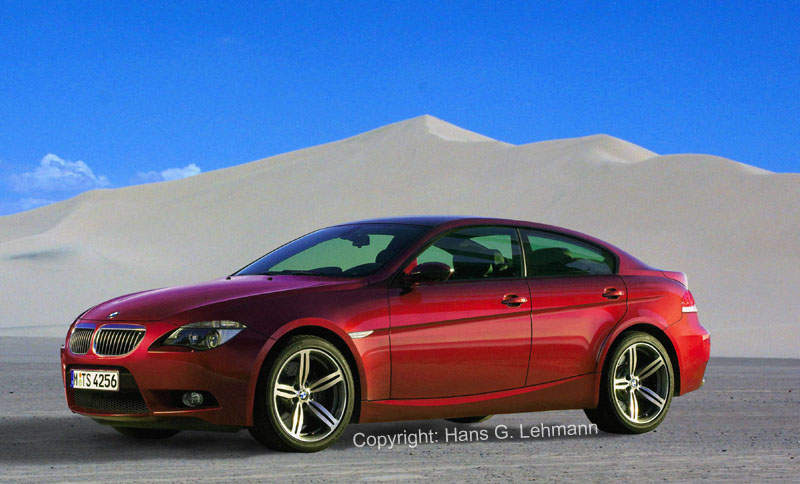 The car will have 4 doors but still be considered a crossover coupe-SUV because of the coupe-like roofline. Here’s a concept artist’s impression based on the current 6 series design. Of course, the crossover coupe-SUV will have four wheel drive. Similiar vehicles are the Mazda CX-7 and the Porsche Panamera, due in 2009. The BMW X6 is due on 2008.